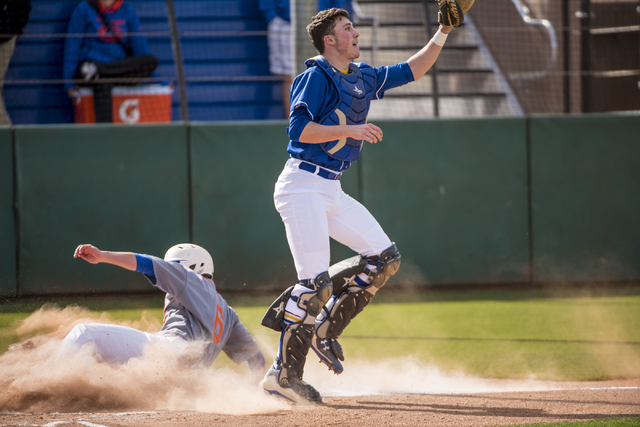 The host Gaels put several hard-hit balls in play and took advantage of five errors to claim an 11-1 five-inning victory over O”Gorman (South Dakota) in the opener of the Bishop Gorman Desert Classic. The first pitch to Beau Capanna in the bottom of the first inning was drilled to left field, drawing worrisome murmurs from the visiting fans who made the trip from South Dakota. 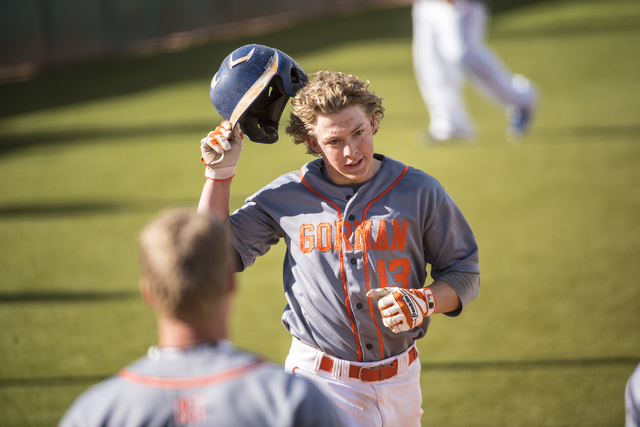 The hard line drive sailed well foul, but it foreshadowed what was to come Wednesday afternoon for Bishop Gorman’s baseball team. 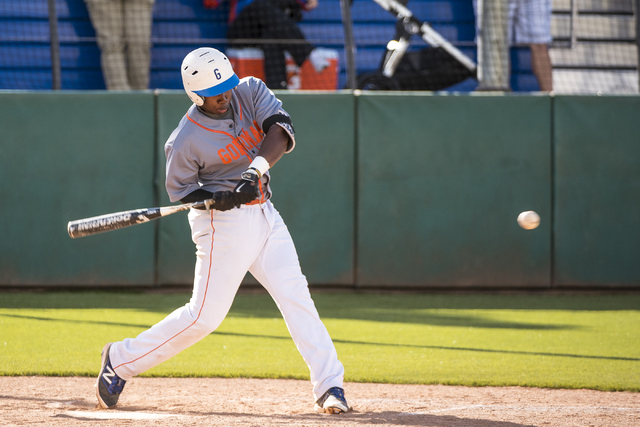 The host Gaels put several hard-hit balls in play and took advantage of five errors to claim an 11-1 five-inning victory over O’Gorman (South Dakota) in the opener of the Bishop Gorman Desert Classic. Nicholas Israel homered and drove in three runs, and Austin Wells went 2-for-3 with a double, a run and an RBI for the Gaels (10-1). 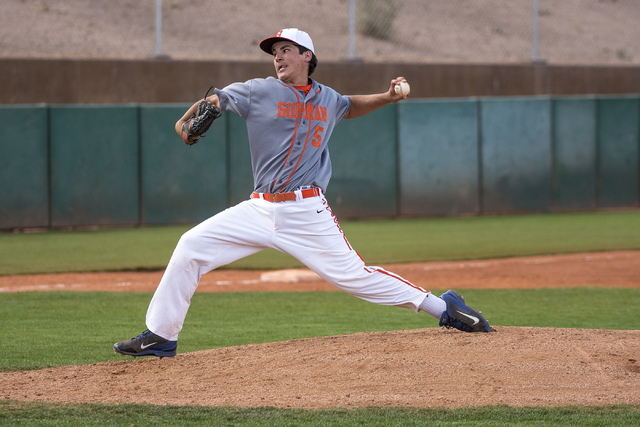 Gorman senior left-hander Brian Coffey allowed one hit against the Knights (0-2) — a bloop, run-scoring single to center in the first inning by Hunter Thompson — and pitched around three errors. Coffey fanned the side in the second inning and finished with nine strikeouts. He retired 12 of the final 13 batters, and the only runner during that stretch was quickly erased when Elliot Barnes reached on a throwing error and was tagged out after a brief rundown between first and second base. 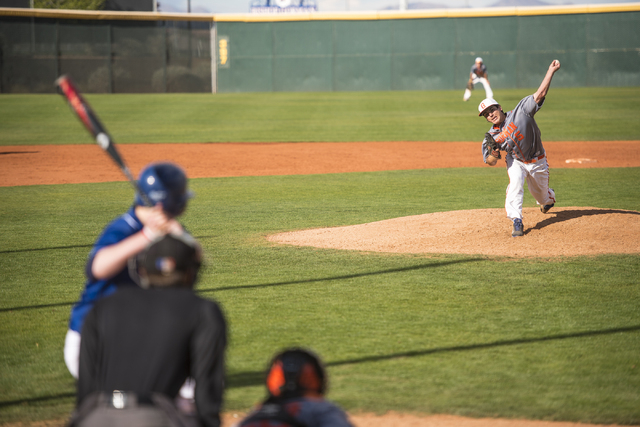 Gorman’s first eight batters reached base as the Gaels scored five runs in the first. 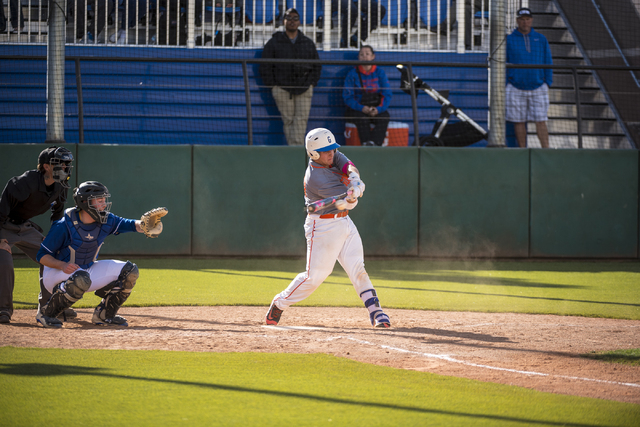 Wells ripped a run-scoring double into the right-field corner, and Jordan Sadovia and Israel drew bases-loaded walks before Braxton Wehrle’s run-scoring single. The Gaels scratched out four runs in the third, capitalizing on four errors by O’Gorman. Sadovia led off the fourth with an infield single, and one batter later, Israel blasted an 0-and-1 pitch over the right-field fence for a 10-run lead.